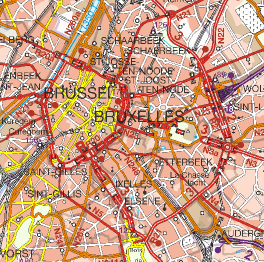 The NGI manages the topo-geographical inventory of Belgium and produces topographic and tourist maps. 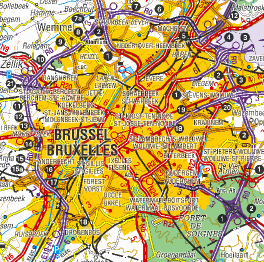 These maps are an excellent tool for engineers, planners, urban planners, teachers, public authorities and so on. 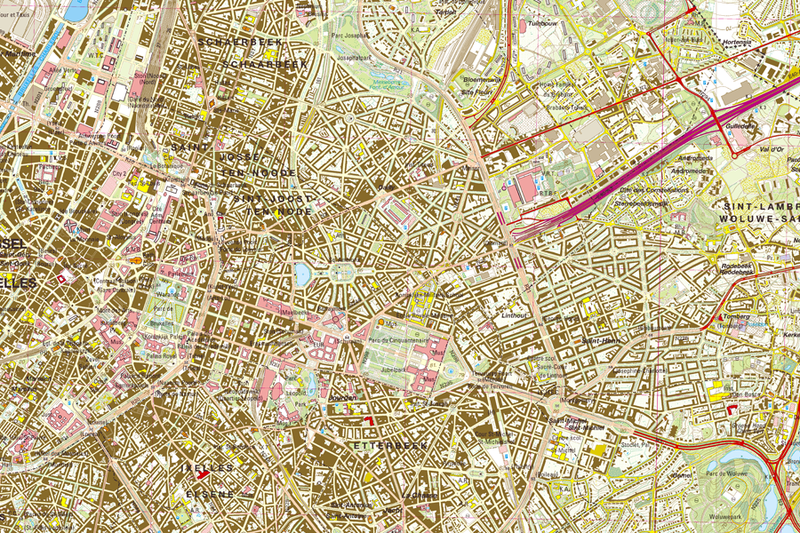 These maps are created digitally. 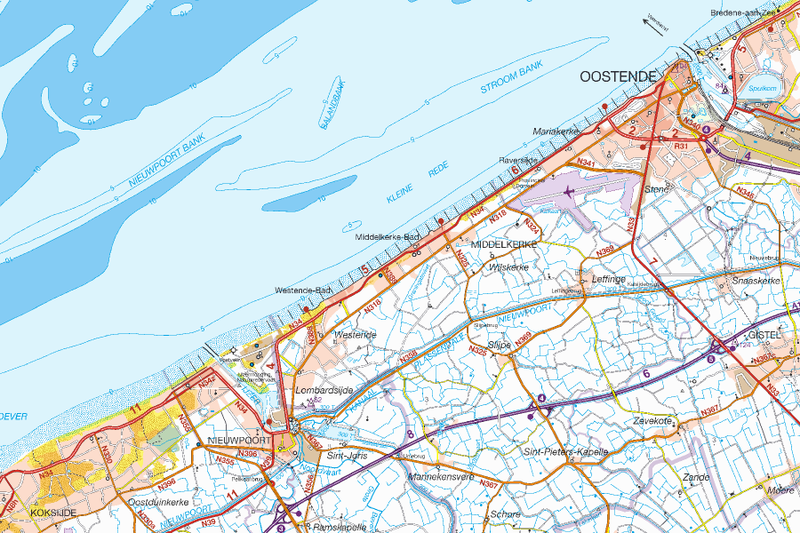 Each map is 80 cm wide and 50 cm high, covering an area of 40 km². 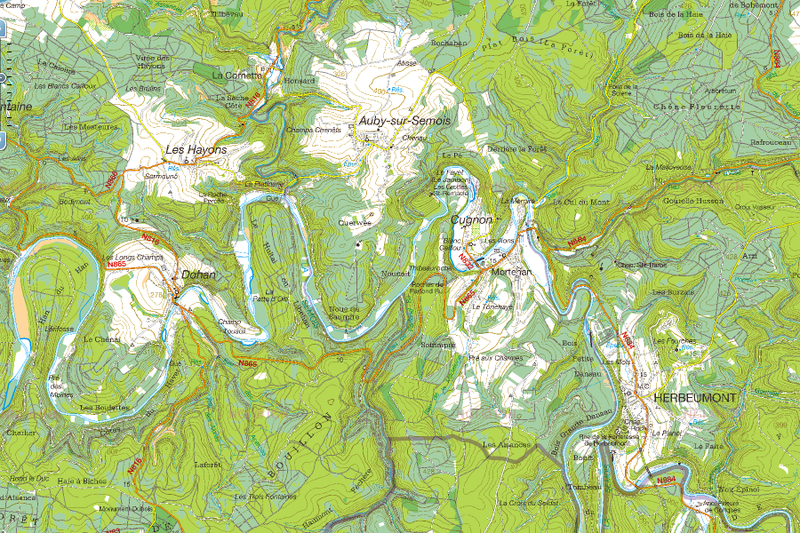 These maps are available on demand. 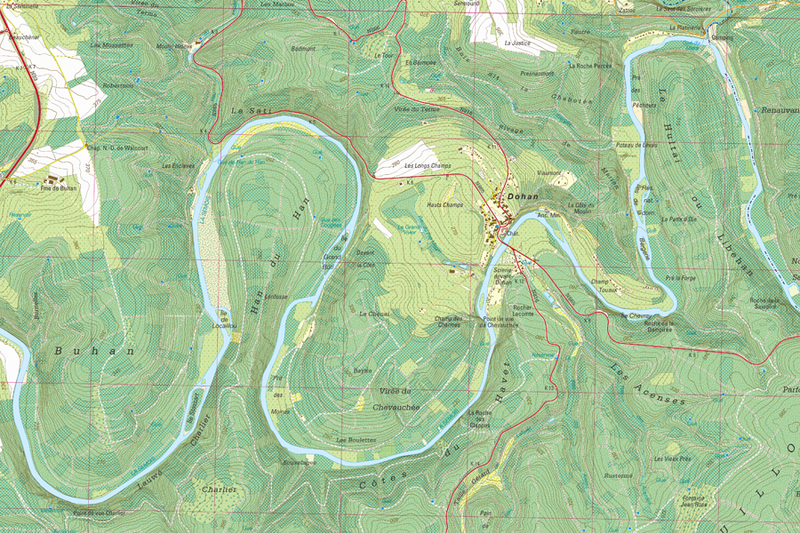 This map series correspond in content and accuracy to the series at scale 1:10 000. 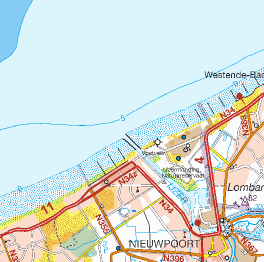 Each map covers an area of 160 km². 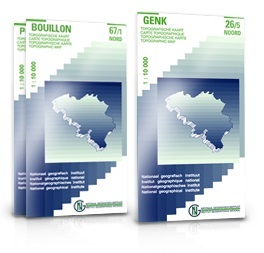 These series are therefore extremely useful for didactic purposes and are also very popular with walkers, cyclists, youth organizations and so on. 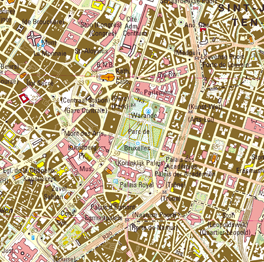 These maps are created digitally. Each sheet is 80 cm wide and 50 cm high. 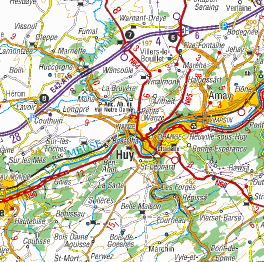 Most maps also have a UTM grid. 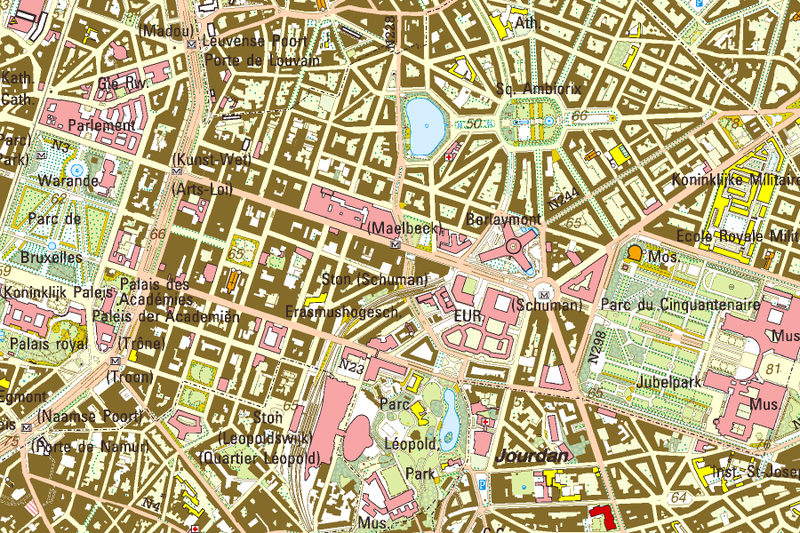 The map series at scale 1:50 000 is derived by generalization from the large-scale series such as the 1:10 000 and the older 1:25 000 series. It is therefore a little less detailed and less accurate than these series. 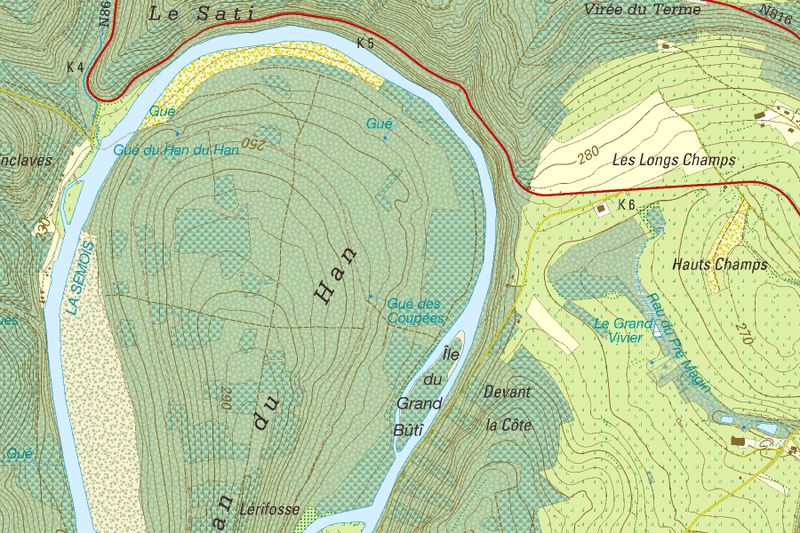 The 1:50 000 map series is used by Defence as topographic map. 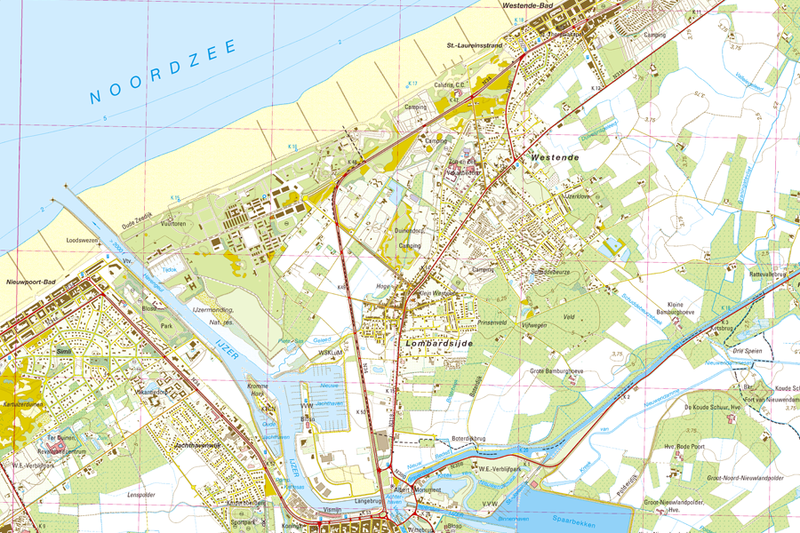 As an outstanding military map it meets high requirements in terms of quality (complete, correct) and accuracy. 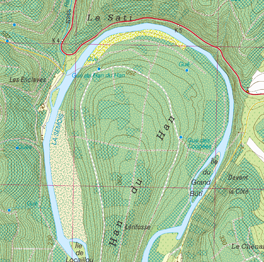 It gives a clear overview of the territory. 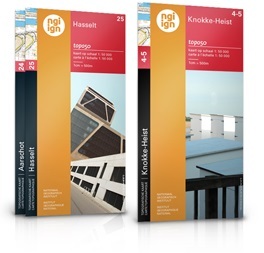 Each sheet of 64 cm wide and 40 cm high covers an area of 640 km². 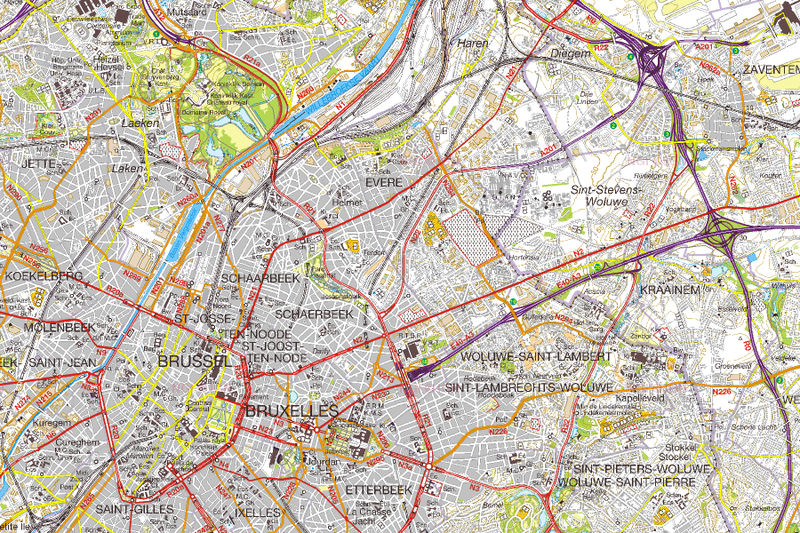 The first digital edition of the 1:50 000 maps is available for the whole of Belgium since the end of 2001. 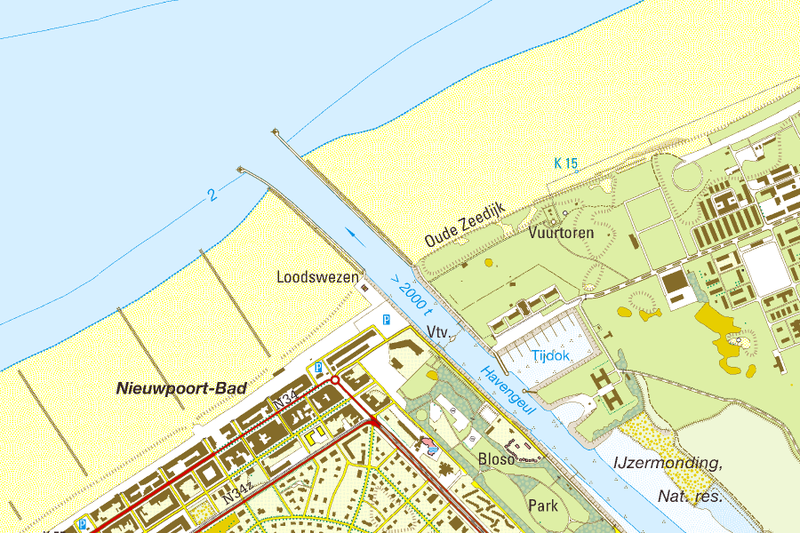 The second edition was realized between 2002 and 2008. 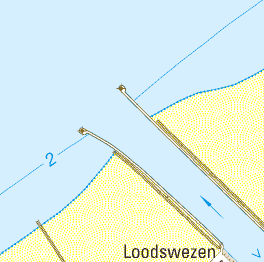 Pen computers were used for the update, so that the data can be edited directly in the field. Since 2009, the NGI is working on a third edition. The reference data 1:10 000 and pen computers were also used for this new edition. 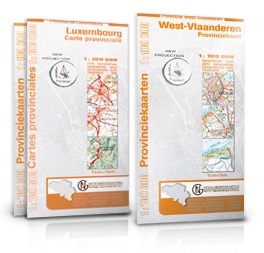 The new topographic 1:100 000 series consists of 9 sheets. 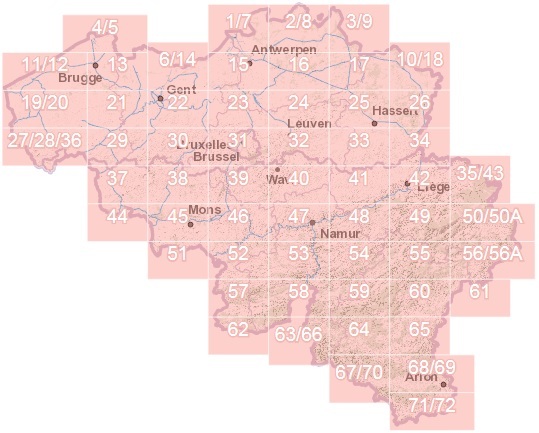 Each Belgian province has its own map, except the provinces of Flemish Brabant and Walloon Brabant along with the Brussels Capital Region which appear as a whole on one sheet. 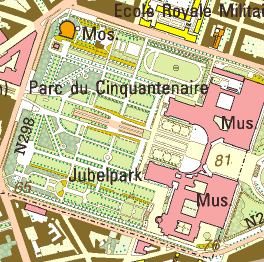 The maps have been completely renewed, including the layout, which has been modernized completely. 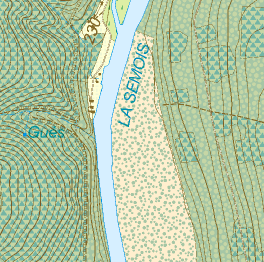 This makes the map very readable. 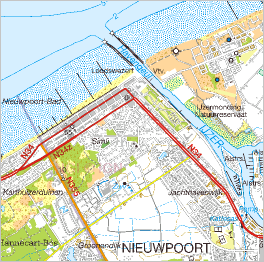 Residential areas and land use are shown in zones, the relief is represented by using shadowing and the maps contain GPS coordinates. 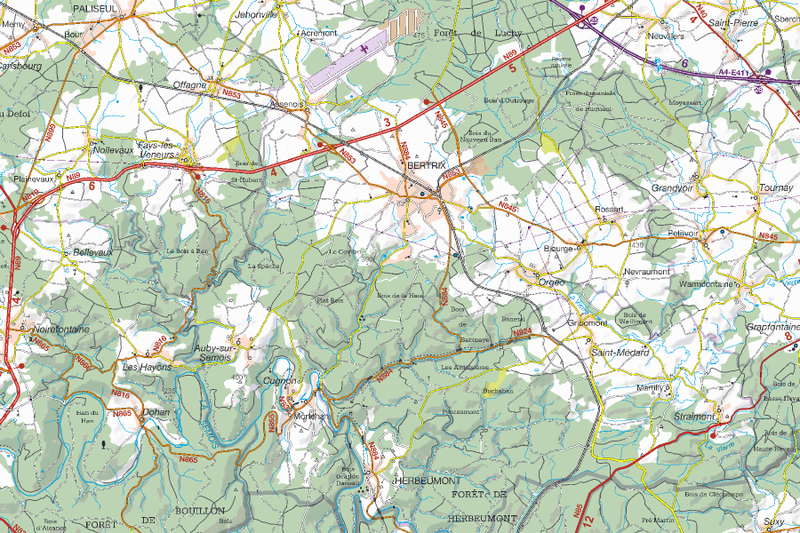 These provincial maps are especially useful as regional overview map; drivers and motorcyclists who like to see detailed topographic information on their route maps, can conveniently use these. 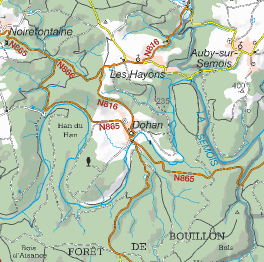 The map at scale 1:250 000 shows, despite its small scale, a detailed representation of the country's geography and topography. 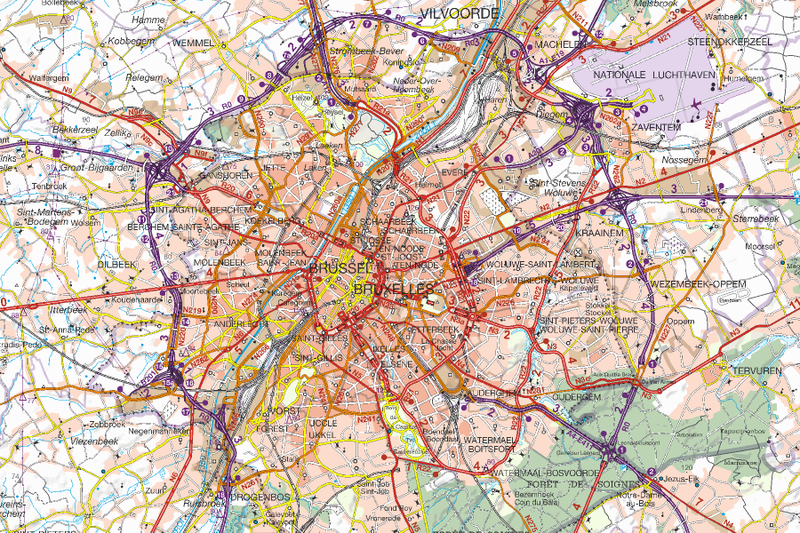 This generalized map of Belgium presents mainly the roads (road, rail), hydrography, residential areas, land use and landscape elements of Belgium. It exists both in folded form (printed on both sides) and in unfolded form (two sheets). 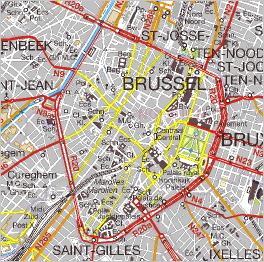 This map also has an index of the Belgian towns and villages, which can easily be found on the map. 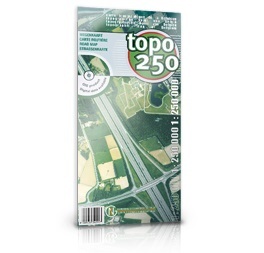 The whole (folded map + index) is sold in a plastic sleeve. 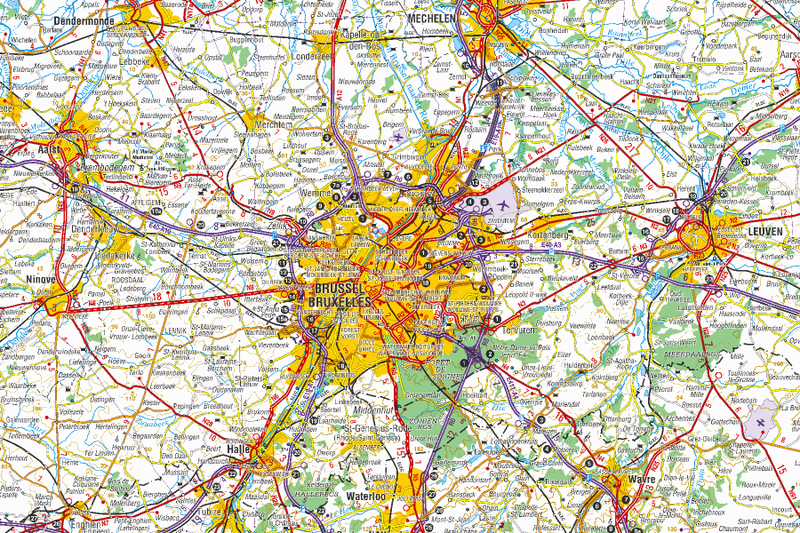 This map of Belgium contains information about aviation and is annually adjusted. 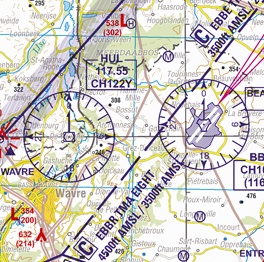 The aeronautical data are embossed on the NGI map at scale 1:250 000. 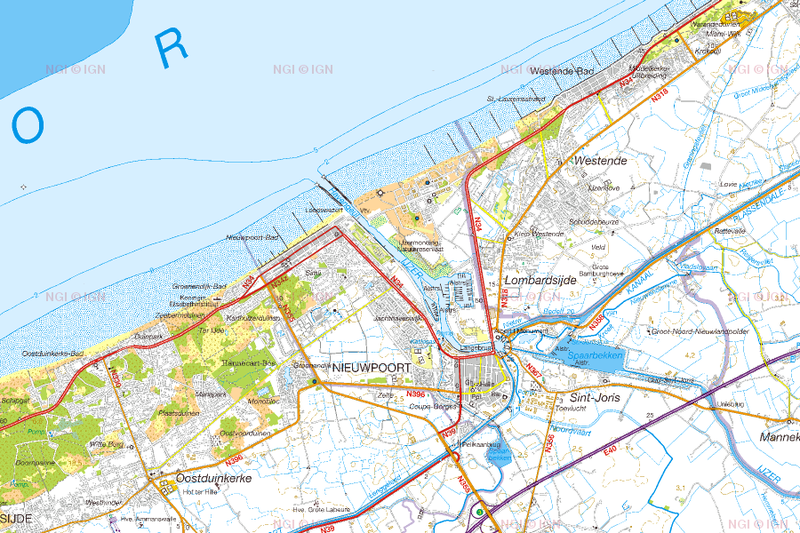 The National Geographic Institute publishes some tourist maps, in collaboration with local authorities, tourist offices and other associations. 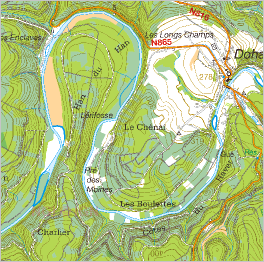 These maps are designed based on the topographic maps and therefore they have the same precision. 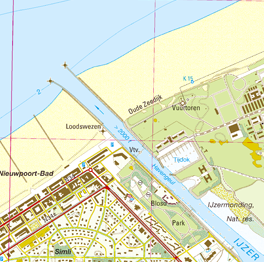 Tourist information (walking path, cycling routes, etc.) has however been added.